What's not to love about 50 Cent: Blood on the Sand? 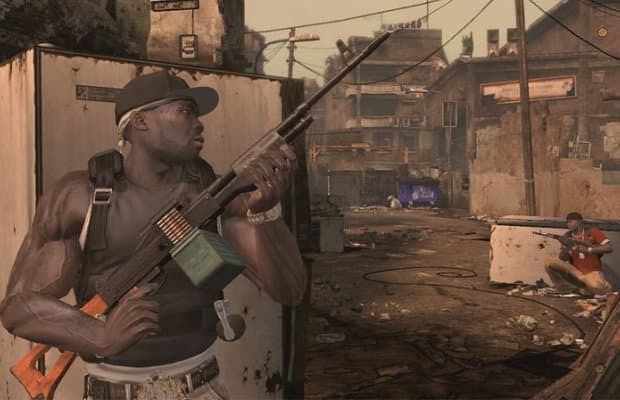 Unlike the tepid Bulletproof, Blood on the Sand manages to be both patently ridiculous and ridiculously awesome, casting the titular rapper and his G-Unit comrades in a co-op shooter that's much like Gears of War. The premise? When 50 gets stiffed on payment following a show in the Middle East, he packs heat and takes down hundreds of enemies in search of a diamond-encrusted skull. It's almost too bewildering to believe, but Blood on the Sand is both real and honestly recommended as an entertaining popcorn shooter.